Member represents and warrants that: (i) you have the full power and authority to enter into and perform under this Agreement; (ii) execution and performance of this Agreement does not constitute a breach of, or conflict with, any other agreement or arrangement by which you are bound; (iii) the terms of this Agreement are legal, valid, and binding obligation, enforceable against you; (iv) all content you create to promote Company, it’s Site, the Content or Service was created without any contribution of any kind from Company including, without limitation, editorial control or approval, that any suggestions regarding content received from Company are made “as-is” and without any warranty; and that you have had all marketing materials created by you reviewed by competent legal counsel and solely assume all responsibility for it; (v) you are at least 18 years of age, (vi) your use of the Site and Content is legal in, and does not violate any laws or rules of, the jurisdictions in which you reside or from which you use or otherwise access the Site, (vii) all information (if any) provided by you to us is correct, (viii) your use of the Site, Content and Services shall be in accordance with this Agreement and your Affiliate Agreement and the Policies and Procedures of Company if you are an affiliate and (ix) you are capable of assuming, and do assume, any risks related to the use of the Site, Content and Services. Monthly Subscriptions: Member has Thirty (30) Days from the date of the original purchase to request a refund for the monthly subscription. Any refund request after the Thirty (30) DAYS time limit will not be honored. Member may cancel at any time to discontinue billing and subscription. Parked Account Subscriptions: There are no refunds for parked account subscriptions. If Member purchases Company products or services that are subscription based, Member agrees to pay, and authorizes automatic recurring billing of the subscription fees with the credit card, or other payment methods on file, until subsequently canceled by Member. The Member’s account will be charged every 30 days. Member understands and agrees that each automatic recurring billings of the subscription fees are non-refundable and will not be prorated as the service is deemed used when accessed. Member authorizes Company to initiate debit entries from the account provided for the subscription fee, as well as any other purchases made on the Site. Member understands that there is 3% administration fee billed on all orders that exceed $500 USD. Member may cancel at any time by contacting Customer Care at support@digitalaltitude.co. 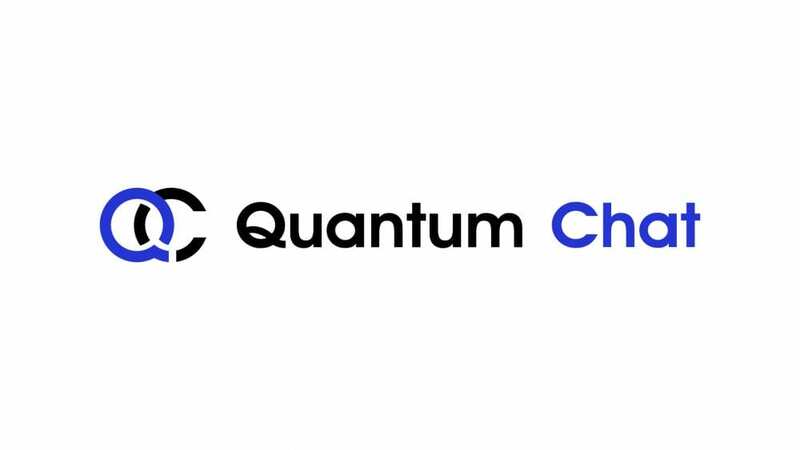 Products that are subscription based for Members and charged monthly are: Quantum Chat DFY Services Subscription. 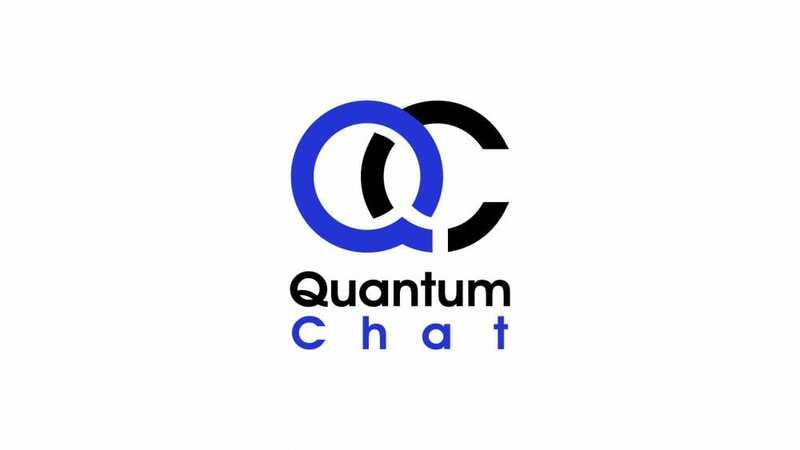 Quantum Chat Bot(s) and Quantum Chat DFY Services Subscription. The events, information, venue and speakers listed on our Sites are subject to change without notification. Member has 60 days prior to the event to request a ticket deferral to the next event if Member cannot attend next scheduled event. Any request after the SIXTY (60) DAY time limit will not be processed. Any unused tickets will be forfeited and are not transferable to another event. TICKET HOLDERS MAY NOT SELL, OFFER FOR SALE, OFFER AT AUCTIONS, RESELL, DONATE, ACT AS COMMERCIAL AGENT FOR ANOTHER PARTY OR OTHERWISE TRANSFER THEIR TICKETS IN ANY WAY WITHOUT THE SPECIFIC PRIOR WRITTEN CONSENT OF Company. A Member’s violation of any of the terms of the Agreement, including any amendments that may be made by Company in its sole discretion, may result in any of the actions listed in Section 4.1, including the involuntary termination of his or her Member Agreement. Cancellation shall be effective on the date on which written notice is mailed, emailed, faxed, or delivered to the Member’s last known address, email address, or fax number, or to his or her attorney, or when the Member receives actual notice of termination, whichever occurs first. Where state laws on termination are inconsistent with this termination policy, the applicable state law shall apply. We reserve the right to terminate all Membership Agreements upon thirty (30) days written notice in the event that it elects to: (a) cease business operations; (b) dissolve as a legal entity or (c) terminates the sale of its products and services via direct selling. A Member has a right to cancel at any time, regardless of reason. Cancellation must be submitted in writing via support ticket at www.getsupport.biz. The written notice must include the Member’s registered email address, the product requesting to be cancelled, Facebook profile ID if applicable. A Member may also voluntarily cancel his or her Member Agreement by failing to renew the Agreement on its anniversary date. The Company may also elect not to renew a Member Agreement upon his/her anniversary date. Member agrees that, under certain circumstances, Company may suspend or terminate Member's use of the Site or Service, including without limitation, if Company believes, in our sole and absolute discretion, that Member has breached any term of this Agreement. Member acknowledges and agrees that all suspensions and terminations shall be made in Company's sole discretion and that Company shall not be liable to Member or any other party for said suspension and termination. Upon termination, Member license to use the Site, Content or Service and everything accessible by or through the Site, Content or Service shall terminate and the remainder of this Agreement shall survive indefinitely unless and until we chose to terminate it. Upon termination of any part of this Agreement for any reason, we shall make reasonable efforts to ensure that your User Content is inaccessible and cease use of it; however, Member acknowledges and agrees that: (i) caching of, copies of, or references to the User Content may not be immediately removed or possible to remove; (ii) such removed User Content may continue in backups (not available to others) for a relatively short period of time; and such removed User Content may continue to be available (and stored on our servers) through the accounts of other programs. We reserve the right to amend this Agreement in its sole and absolute discretion. By entering into the Membership Agreement, Member agrees to abide by all amendments or modifications that Company elects to make. Amendments shall be effective 30 days after publication of notice that the Agreement has been modified. Amendments shall not apply retroactively to conduct that occurred prior to the effective date of the amendment. Notification of amendments shall be published by one or more of the following methods: (a) posting on the Company’s official web site; (b) electronic mail (e-mail); (c) posting in Membership site; (d) inclusion in Company periodicals; or (e) special mailings. In the event of substantive changes, Member will be required to affirmatively assent to the changes. For other changes, the continuation of a Member’s membership, the acceptance of any benefits under the Agreement, constitutes acceptance of the amendments. Company owns and licenses all intellectual property and other rights, title, and interest in and to the Site, Content and Service, and the materials accessible on the Site and Service, except as expressly provided for in the Agreement. Without limitation, Company owns the trademarks, copyrights and certain technology used in making the Site, its Content and Service available. Except as specifically allowed in this Agreement, the copying, redistribution, use or publication by you of any Content or Service is strictly prohibited. We grant Member a limited revocable license to access and use the Site, Content and our Service for its intended purposes, subject to Member compliance with this Agreement, and Company Policies and Procedures. The revocable license does not include the right to collect or use information contained on the Site or through the Service for purposes that Company prohibits or to compete with Company. No ownership or other interest or other license in or to any patent, copyright, trademark, trade secret and other intellectual property right or to the Content is being granted, assigned or transferred in this Agreement or by reason of your access to, and use of, the Site, Content or Service. If Member uses the Site or our Service in a manner that exceeds the scope of this license or breaches any relevant agreement, Member’s license shall terminate immediately. For the purposes of this Agreement, “Confidential Information” shall be deemed to include all the information and materials that: (i) if in written format is marked as confidential, or (ii) if disclosed verbally is noted as confidential at time of disclosure or (iii) in the absence of either (i) or (ii) is information which a reasonable party would deem to be non-public information and confidential, including, without limitation, all information provided on or through the Site or Service, trade secrets, inventions, research methods and projects, methods of compiling information, methods of creating database, data processing programs, software, computer models, source and object codes, product formulations, strategies and plans for future business, product and service development and ideas, potential acquisitions or divestitures, marketing ideas, financial information including with respect to costs, commissions, fees, profits and sales, mailing lists, information concerning our affiliates and customers, potential affiliates and customers and suppliers, and employee information including their respective salaries, bonuses, benefits, qualifications, abilities and contact information. Member acknowledges and agrees that the nature of the Confidential Information to which Member has, and will continue to have, access to derives value from the fact that it is not generally known and used by others in the highly competitive, international industry in which Company competes. Member acknowledges that Member is receiving the Confidential Information in confidence and will not publish, copy or disclose any Confidential Information without prior written consent from Company. Member further agrees that Member shall not attempt to reverse engineer, de-compile or try to ascertain the source code to our software or any other software supplied hereunder. Member agrees that all originals and any copies of the Confidential Information remain the property of Company. Member shall reproduce all copyright and other proprietary notices, if any, in the same form that they appear on all the materials provided by us, on all permitted copies of the Confidential Information made by Member. Member agrees to return all originals and copies of all Confidential Information in possession or control to us upon request. Member may only use the Site, Content and Service to log in to the Members area, as expressly permitted in writing by us. Member may not cause harm to the Site or Service. Specifically, but not by way of limitation, Member may not: (i) interfere with the Site, Content or Service by using viruses, programs, or technology designed to disrupt or damage any software or hardware, or which attempts to assess the vulnerability of, or actually violates, any security feature; (ii) access any content or data not intended for you, or log into an account or server that you are not authorized to access; (iii) modify, create derivative works, reverse engineer, decompile or disassemble any technology used to provide the Site or our Service; (iv) use a robot, spider or other device or process to monitor the activity on or copy pages from the Site or our Service, except in the operation or use of an Internet “search engine,” hit counters, or similar technology; (v) collect electronic mail addresses or other information from third parties by using the Site or our Service; (vi) impersonate another person or entity; (vii) engage in any activity that interferes with another user's ability to use or enjoy the Site, or content or our Service; (viii) assist or encourage any third party in engaging in any activity prohibited by this Agreement; (ix) co-brand the Site, or content or our Service; (x) frame the Site or Service; (xi) hyperlink to the Site or Service, without the express prior written permission of an authorized representative of Company; (xii) use the Site, Content or Service, in whole or in part, for any purpose that is unlawful, immoral, or prohibited by this Agreement or any applicable local, state, or federal law, rule, or regulation; (xiii) use the Site, Content or Service in any manner that could damage, disable, overburden, or impair the Site or Service; (xiv) circumvent, or attempt to circumvent, any security feature of the Site; (xv) upload, e-mail or otherwise transmit to or through the Site or Service, any advertising, promotional, or other unauthorized communication, including, without limitation, “junk mail,” “surveys,” unsolicited e-mail, “spam,” “chain letters,” or “pyramid schemes;” or (xvi) incorporate data from any of our databases into any emails or other “white pages” products or services, whether browser-based, based on proprietary client-side applications, or web-based, without our prior, express and written consent. By purchasing any of our products or services, Member agrees that Member’s use of the product or service is limited by this Agreement as well. Membership areas of the Site are password restricted to registered users. If Member has registered as an authorized user to gain access to these password protected areas, Member agrees that you are entirely responsible for maintaining the confidentiality of your password, and agree to notify us if the password is lost, stolen, disclosed to an unauthorized third party, or otherwise may have been compromised. Member agrees that you are entirely responsible for any and all activities that occur under your account, including any fees that may be incurred under Member password-protected account, whether or not Member is the individual who undertakes such activities. Member agrees to immediately notify us of any unauthorized use of Member account or any other breach of security in relation to Member password or the Site that is known to Member. When accessing the Site or using the Content or Service, Member agrees to obey the law and to respect the intellectual property rights of others. Members use of the Service, Content and Site is at all times governed by and subject to laws regarding intellectual property ownership. Member agrees not to upload, download, display, perform, transmit, or otherwise distribute any information or content in violation of any third party's copyrights, trademarks, or other intellectual property or proprietary rights. Member agrees to abide by laws regarding intellectual property ownership and use, and Member shall be solely responsible for any violations of any relevant laws and for any infringements of third party rights caused by any content Member provides or transmits, or that is provided or transmitted using Members user name. The burden of proving that any content does not violate any laws or third party rights rests solely with Member. All trademarks, service marks, trade names and copyrights displayed on the Site or in the Content are proprietary to us or their respective owners. Member acquires no rights or licenses in or to any trademarks, service marks, trade names or copyrights displayed on the Site. Member may not reproduce, republish, distribute, assign, sublicense, retransmit, sell, or prepare derivative works of the Site or Content, or resell or make our Service available to others. All rights in and to the Site, Service and our Content not expressly granted in this Agreement remain in us or in our licensors. Company reserves the right to suspend or terminate your use of any Service, Content or Site. To ensure that Company provides a high quality experience for you and for other users of the Site, Content and Service, you agree that Company or its representatives may access your account and records on a case-by-case basis to investigate complaints or allegations of abuse, infringement of third party rights or other unauthorized uses of the Site, Content or Service. Company does not intend to disclose the existence or occurrence of such an investigation unless required by law, but Company reserves the right to suspend or terminate Member’s account or access to the Site immediately, with or without prior notice to Member, and without liability to Member, if Company believes that Member has violated any of this Agreement, furnished Company with false or misleading information, or interfered with use of the Site, Content or the Service by others. Company cannot provide Members with any personal tax or legal advice. Members should consult with their own tax accountant, tax attorney, or other tax professional. EXCEPT AS EXPRESSLY MADE BY THE COMPANY IN WRITING, THE COMPANY MAKES NO WARRANTY OR REPRESENTATION, EXPRESS OR IMPLIED, AS TO THE MERCHANTABILITY, FITNESS FOR A PARTICULAR PURPOSE, WORKMANSHIP, NON-INFRINGEMENT OR ANY OTHER WARRANTY ARISING BY LAW, STATUTE, USAGE OF TRADE OR COURSE OF DEALING CONCERNING ANY PRODUCT OR SERVICE PURCHASED FROM OR THROUGH THE COMPANY. WE MAKE NO REPRESENTATIONS ABOUT THE SUITABILITY, RELIABILITY, AVAILABILITY, TIMELINESS, AND ACCURACY OF THE SITE, THE SERVICE OR THE CONTENT CONTAINED ON THE SITE FOR ANY PURPOSE.TO THE MAXIMUM EXTENT PERMITTED BY APPLICABLE LAW, ALL PRODUCTS AND SERVICES OF THE COMPANY ARE PROVIDED “AS IS,” “WITH ALL FAULTS,” AND “AS AVAILABLE.” THE COMPANY DOES NOT WARRANT THAT ITS PRODUCTS OR SERVICES WILL BE COMPATIBLE WITH ANY HARDWARE OR SOFTWARE SYSTEMS OR THAT ONLINE SERVICES WILL BE UNINTERRUPTED OR ERROR FREE. THE COMPANY DOES NOT WARRANT THAT ANY WEBSITE OPERATED, SPONSORED OR HOSTED BY THE COMPANY OR ANY OF ITS AFFILIATES WILL BE UNINTERRUPTED OR FREE FROM ERROR. THE COMPANY IS NOT RESPONSIBLE FOR INTERRUPTED, INACCESSIBLE OR UNAVAILABLE NETWORKS, SERVER, SATELLITES AND/OR SERVICE PROVIDERS; OR FOR MISCOMMUNICATIONS, FAILED, JUMBLED, SCRAMBLED, DELAYED OR MISDIRECTED COMPUTER, TELEPHONE OR CABLE TRANSMISSIONS; OR FOR ANY TECHNICAL MALFUNCTIONS, FAILURES OR DIFFICULTIES. MEMBERS USE OF THE SITE, SERVICE AND CONTENT IS AT YOUR SOLE RISK. ALTHOUGH OUR CONTENT MAY BE UPDATED FROM TIME TO TIME, IT MAY BE OUT OF DATE AND/OR MAY CONTAIN INACCURACIES OR TYPOGRAPHICAL ERRORS. WE ARE NOT RESPONSIBLE FOR YOUR INABILITY OR FAILURE (FOR ANY REASON) TO ACCESS THE SITE OR CONTENT OR OTHERWISE USE OR RECEIVE INFORMATION OR SERVICE FROM OR REGARDING THE SITE, CONTENT, OR YOUR PURCHASES FROM US. MEMBER ASSUMES THE RISK OF ANY AND ALL DAMAGE OR LOSS FROM USE OF, OR INABILITY TO USE, THE SITE OR SERVICE. TO THE MAXIMUM EXTENT PERMITTED BY LAW, WE AND OUR AFFILIATED PARTIES SHALL HAVE NO LIABILITY WHATSOEVER FOR YOUR USE OF ANY CONTENT OR OTHER INFORMATION OR SERVICE RELATED TO THE SITE AND SHALL NOT BE LIABLE FOR ANY DIRECT, INDIRECT, SPECIAL, INCIDENTAL, OR CONSEQUENTIAL DAMAGES (INCLUDING, BUT NOT LIMITED TO, DAMAGES FOR LOSS OF BUSINESS, LOSS OF PROFITS, OR LITIGATION), (I) ARISING FROM ANY DECISION MADE OR ACTION TAKEN BY MEMBER IN RELIANCE UPON THE CONTENT OR OUR PRODUCTS OR SERVICE, (II) ARISING OUT OF OR IN ANY WAY CONNECTED WITH THE USE OR PERFORMANCE OF THE SITE OR CONTENT, OR WITH THE DELAY OR INABILITY TO USE THE SITE, CONTENT, OR RELATED SERVICE, OR FROM THE USE OR MISUSE OF ANY INFORMATION, SOFTWARE, PRODUCTS, SERVICES, RELATED GRAPHICS, AND CONTENT OBTAINED THROUGH THE SITE, (III) ANY INCORRECT OR MISSING INFORMATION OR DATA, OR (IV) OTHERWISE ARISING OUT OR RESULTING FROM LOSS OF YOUR DATA OR INFORMATION, WHETHER BASED ON BREACH OF CONTRACT, BREACH OF WARRANTY, TORT (INCLUDING, BUT NOT LIMITED TO, NEGLIGENCE), OR OTHERWISE, EVEN IF ADVISED OF THE POSSIBILITY OF SUCH DAMAGES. OUR MAXIMUM LIABILITY, IF ANY, FOR ANY LOSS OR DAMAGE RELATING TO OR ARISING OUT OF MEMBERS USE OF THE SITE OR ANY CONTENT WILL NOT EXCEED THE LESSER OR ACTUAL DAMAGES OR THE CHARGES PAID BY YOU TO US FOR THE SITE FOR A PERIOD OF TWO MONTHS. The income disclaimer posted on our website at www.digitalaltitude.co/disclaimer is incorporated herein by reference and Member hereby represents that Member has read and understand it. Company, its managers, or members may receive an affiliate commission when Member purchases some of the products or services that we recommend on our Site or Service. By entering into this Agreement, Member acknowledges that Member has been informed of such payments, consent to payments of affiliate commissions, and that such payments are fair and reasonable. Company has no control over, and no liability for any third party sites or materials (“Third Party Sites”). Company works with a number of partners and affiliates whose Internet sites may be linked with the Site. Because Company has no control over the content and performance of these Third Party Sites, Company makes no guarantees about the accuracy, currency, content, or quality of the information provided by such Third Party Sites, and Company assumes no responsibility for unintended, objectionable, inaccurate, misleading, or unlawful content that may reside on those Third Party Sites. Similarly, from time to time in connection with your use of the Site, Member may have access to content items (including, but not limited to, websites) that are owned by third parties. Member acknowledges and agrees that Company makes no guarantees about, and assumes no responsibility for, the accuracy, currency, content, or quality of Third Party Sites, and that, unless expressly provided otherwise, this Agreement shall govern your use of any and all Third Party Sites. Members linking to such Third Party Sites is at your own risk. We do not investigate, monitor, or check such Third Party Sites for accuracy or completeness. We are not responsible for the availability of these Third Party Sites, nor are we responsible for the aesthetics, appeal, suitability to taste or subjective quality of informational content, advertising, products or other materials made available on or through such Third Party Sites. We are providing these links to Member only as a convenience and may discontinue providing such links at any time in our sole discretion without notice to Member. No endorsement of any third party content, information, data, opinions, advice, statements, goods, services or products is expressed or implied by any information, material or content of any Third Party Site contained in, referred to, included on, or linked from or to, the Site. Under no circumstances shall we or any affiliated providers be held responsible or liable, directly or indirectly, for any loss, injury, or damage caused or alleged to have been caused to Member in connection with the use of, or reliance on, any content, information, data, opinions, advice, statements, goods, services, or products available on such Third Party Sites. Member should direct any concerns to the respective Third Party Site's administrator or webmaster. Any links to Third Party Sites do not imply that we are legally authorized to use any trademark, trade name, logo or copyright symbol displayed in or accessible through such links, or that any linked Third Party Site is authorized to use any trademark, trade name, logo or copyright symbol of ours. All notices required or permitted to be given under this Agreement will be in writing and delivered to the other party by any of the following methods: (i) U.S. Mail, (ii) overnight courier, or (iii) electronic mail. If you give notice to us, you must use the following address: AMA Family DBA Quantum Chat, 16192 Coastal Hwy, Lewes, DE 19958. If Company provides notice to you, Company will use the contact information provide by you to us. All notices will be deemed received as follows: (A) if delivery by U.S. mail, seven business days after dispatch, (B) if by overnight courier, on the date receipt is confirmed by such courier service, or (C) if by electronic mail, 24 hours after the message was sent, if no “system error” or other notice of non-delivery is generated. If applicable law requires that a given communication be “in writing,” you agree that email communication will satisfy this requirement. Member agrees to indemnify, defend, and hold Company, its managers, members, officers, directors, employees, consultants, agents, and representatives harmless from and against any and all actions, claims, demands, proceedings, liabilities, damages, judgments, settlements, fines, penalties, costs, and expenses, including attorney's fees and related costs, which (i) arise or in part from your act(s) or omission(s); (ii) arise from or are related to a breach Member has any express warranty contained herein; or (iii) failure to comply with this Agreement. We have no duty to reimburse, defend, indemnify, or hold Member harmless resulting from, relating to, or arising out of, this Agreement, the Site, or Members access to or use of the Site or Content. If an action is brought against Company in respect to any allegation for which indemnity may be sought, Company will promptly notify Member of any such claim of which it becomes aware and will: (i) provide reasonable cooperation to Member at your expense in connection with the defense or settlement of any such claim; and (ii) be entitled to participate at its own expense in the defense of any such claim. Company agrees that you will have sole and exclusive control over the defense and settlement of any such third party claim. However, Member agrees not to acquiesce to any judgment or enter into any settlement that adversely affects Company's rights or interests without the prior written consent of Company. If, for whatever reason, a court of competent jurisdiction finds any term or condition in this Agreement to be unenforceable, all other terms and conditions will remain unaffected and in full force and effect. No waiver or any breach of any provision of this Agreement shall constitute a waiver of any prior, concurrent, or subsequent breach of the same or any other provisions hereof, and no waiver shall be effective unless made in writing and signed by an authorized representative of the waiving party. The Company never gives up its right to insist on compliance with the Agreement and with the applicable laws governing the conduct of a business. No failure of Company to exercise any right or power under the Agreement or to insist upon strict compliance by a Member with any obligation or provision of the Agreement, and no custom or practice of the parties at variance with the terms of the Agreement, shall constitute a waiver of Company’s right to demand exact compliance with the Agreement. The existence of any claim or cause of action of a Member against Company shall not constitute a defense to Company’s enforcement of any term or provision of the Agreement. Company may, in its sole discretion and without prior notice, (i) revise this Agreement; (ii) modify the Site, Content or the Service, and (iii) discontinue the Site, Content or Service at any time for any revision. Company shall post any revision to this Agreement to the Site, and the revision shall be effective immediately upon such posting. In the event of substantive changes to this Agreement, you will be notified of the changes and required to consent to the new terms. If any modification is unacceptable to Member, the only recourse is not to use the Site and Service and to request an immediate termination of the membership. Members express consent or continued use of the Site, Content or our Service following posting of a change notice or new Agreement on the Site will constitute binding acceptance of the changes. When a Member has a grievance or complaint with another Member or Affiliate regarding any practice or conduct in relationship to their respective Company businesses, the complaining Member should first report the problem to his or her Sponsor who should review the matter and try to resolve it with the other party's upline sponsor. If the matter involves interpretation or violation of Company policy, it must be reported in writing to the Compliance Department at the Company. The Compliance Department will review the facts and attempt to resolve it. Prior to instituting an arbitration as provided below, the parties shall meet in good faith and attempt to resolve any dispute arising from or relating to the Agreement through non-binding mediation. One individual who is mutually acceptable to the parties shall be appointed as mediator. The mediation shall occur within 30 days from the date on which the mediator is appointed. The mediator’s fees and costs, as well as the costs of holding and conducting the mediation, shall be divided equally between the parties. Each party shall pay its portion of the anticipated shared fees and costs at least 10 days in advance of the mediation. Each party shall pay its own attorney’s fees, costs, and individual expenses associated with conducting and attending the mediation. Mediation shall be held in Tampa, Florida and shall last no more than one business day. the breach thereof, shall be settled by arbitration except as otherwise set forth herein. The parties waive all rights to trial by jury or to any court. NO CLASS ACTION, OR OTHER REPRESENTATIVE ACTION OR PRIVATE ATTORNEY GENERAL ACTION OR JOINDER OR CONSOLIDATION OF ANY CLAIM WITH A CLAIM OF ANOTHER PERSON OR CLASS OF CLAIMANTS IS ALLOWED. Except as expressly set forth herein, all disputes, claims and controversies relating to or arising out of the Agreement shall be settled totally and finally by arbitration in Salt Lake City, UT and administered by the American Arbitration Association in accordance with its Commercial Arbitration Rules (the “Rules”) except as amended by these Policies and Procedures. There shall be one arbitrator who shall be an attorney who shall have expertise in business law transactions, and preferably an attorney knowledgeable in the direct selling industry. Each party to the arbitration shall be responsible for its own costs and expenses of arbitration, including legal and filing fees. If a Member files a claim or counterclaim against the Company, a Member shall do so on an individual basis and not with any other Member or as part of a class action. A party may appear at the arbitration by telephone, video conference, or similar technology if the total amount of the claim does not exceed $2,500. The presentations of parties in the arbitration proceeding shall be commenced and completed within sixty (60) days after the selection of the arbitrator, and the arbitrator shall render his or her decision in writing within thirty (30) days after the completion of such presentations. The decision of the arbitrator shall be final and binding on the parties and may, if need be, be reduced to a judgment in any court of competent jurisdiction. At the request of any party, the arbitrator shall make and provide to the parties written findings of fact and conclusions of law. This agreement to arbitrate shall survive any termination or expiration of the Agreement. ➢ The parties shall be allotted equal time to present their respective cases, including cross-examinations. ➢ The rulings of the arbitrator on the procedural and/or substantive issues involved in the case. Notwithstanding the foregoing, the arbitrator shall have no jurisdiction over disputes relating to the ownership, validity, use or registration of any copyright, or other intellectual property or Confidential Information of the Company without the Company’s prior written consent. The Company may seek any applicable remedy in any applicable forum with respect to these disputes. In addition to monetary damages, the Company may obtain injunctive relief against a Member for any violation of the Agreement or misuse of the Company’s trademarks, copyrights or Confidential Information. Nothing in this provision shall prevent a party from applying to and obtaining from any court having jurisdiction a writ of attachment, a temporary injunction, preliminary injunction and/or other injunctive or emergency relief available to safeguard and protect the party’s interests prior to the filing of or during or following any arbitration or other proceeding or pending the handing down of a decision or award in connection with any arbitration or other proceeding. Nothing contained herein shall be deemed to give the arbitrator any authority, power or right to alter, change, amend, modify, add to, or to subtract from any of the provisions of the Member Agreement, Compensation Plan or the Agreement. The arbitrator shall not have the power to rule upon or grant any extension, renewal or continuance of the Agreement. The arbitrator shall not have the power to award special, incidental, indirect, punitive or exemplary, or consequential damages of any kind or nature, however caused. Any modification of this arbitration provision shall not apply retroactively to any dispute which arose or which the Company had notice of before the date of modification. This Agreement shall be construed in accordance with and governed by the laws of the United States and the State of Delaware, without reference to their rules regarding conflicts of law. You hereby irrevocably consent to the exclusive jurisdiction of the state or federal courts in Sussex County, Delaware USA in all disputes arising out of or related to the use of the Site, Content or Service. Except as set forth in this Agreement, the Federal Arbitration Act shall govern all matters relating to arbitration. In the event of a dispute between a Member and Company arising from or relating to the Agreement, or the rights and obligations of either party, the parties shall attempt in good faith to resolve the dispute through confidential, nonbinding mediation as more fully described in the Policies and Procedures. Company shall not be obligated to engage in mediation as a prerequisite to disciplinary action against a Member. If the parties are unsuccessful in resolving their dispute through mediation, the dispute shall be settled totally and finally by arbitration as more fully described in the Policies and Procedures, which is incorporated herein by reference. Notwithstanding the foregoing, either party may bring an action before the courts seeking a restraining order, temporary or permanent injunction, or other equitable relief to protect its intellectual property rights, including but not limited to customer and/or affiliate lists as well as other trade secrets, trademarks, trade names, patents, and copyrights. The parties may also seek judicial enforcement of an arbitration award. This Agreement does not limit any rights or remedies that we or our suppliers, licensors or other similar entities, may have under trade secret, copyright, patent, trademark or other laws. Louisiana Residents: Notwithstanding the foregoing, and the mediation and arbitration provisions allow that residents of the State of Louisiana shall be entitled to bring an action against Company in their home forum and pursuant to Louisiana law. Company shall not be responsible for delays or failures in performance of its obligations when performance is made commercially impracticable due to circumstances beyond its reasonable control. This includes, without limitation, acts of terrorism, natural disasters, strikes, labor difficulties, riot, war, fire, death, curtailment of a party’s source of supply, acts or omissions of third parties, disruption in communications systems or government decrees or orders. If any provision of the Agreement, in its current form or as may be amended, is found to be invalid or unenforceable for any reason, only the invalid portion(s) of the provision shall be severed and the remaining terms and provisions shall remain in full force and effect. The severed provision, or portion thereof, shall be reformed to reflect the purpose of the provision as closely as possible. Any communication, notice or demand of any kind whatsoever, which either the Member or the Company may be required or may desire to give or to serve upon the other shall be in writing and delivered either (a) by electronic communication (whether by email or telecopy (if confirmed in writing sent by registered or certified mail, postage prepaid, return receipt requested or by personal service), (b) personally or by same day local courier services or overnight express delivery services; or (c) by registered or certified mail, postage prepaid, return receipt requested, or by personal service or overnight courier service. Notices delivered personally, by overnight express delivery service or by local courier service shall be deemed given as of actual receipt. Mailed notices shall be deemed given three Business Days after mailing. “Business Day” means any Monday through Friday other than any such day which, in the State of Delaware, is a legal holiday or a day on which banking institutions are authorized or required by law or regulation to close. Any such communication, notice or demand shall deemed to have been given or served on the date personally received by personal service or overnight courier service, on the date of confirmed dispatch if by electronic communication, or on the date shown on the return receipt or the other evidence if delivery is by mail. Any party may change its address for notice by giving written notice to the other in the manner provided in this Section. Any provision of the Agreement, which, by its terms, is intended to survive termination or expiration of the Member Agreement shall so survive, including, without limitation, the arbitration, non-competition, non-solicitation, trade secrets and confidential information covenants contained in the Agreement. This agreement (the “Agreement”) applies to your use of the website or any information, materials, images, graphics, data, text, files, links, software, messages, communications, content, organization, design, compilation, magnetic translation, digital conversion, HTML, XML, Java code and other content related to the Site (collectively “Content”), services provided in connection with the Site (the “Service”), and any purchases Member make on the Site. Company may amend them from time to time in its sole discretion. In the event of substantive changes to this Agreement, the new terms will be posted to the Site, you will be required to affirmatively assent to its terms, and Member may also be notified by email. If any modification is unacceptable to Member, the only recourse is not to use the Site, Services, and Content and to request an immediate termination of your subscription. b) To access these documents and submit your online Member Purchase Agreement, Member will need a personal computer/Mac with Internet access and operational Internet browser software. This Agreement will be binding upon each party hereto and its successors and permitted assigns. This Agreement will not be assignable or transferable by Member without Company's prior written consent. This Agreement contains the entire understanding of the parties regarding use of the Site and Content, its subject and supersedes all prior and contemporaneous agreements and understandings between the parties regarding the same. Any rights not expressly granted herein are reserved. The provisions of this Agreement addressing disclaimers of representations and warranties, indemnity obligations, intellectual property and governing law shall survive the termination of this Agreement. I consent to the use of electronic records and have read, understand, and agree to the Member Purchase Agreement. I further confirm that I am in receipt of my product and login.